This version gives a word-for-word translation with additional amplification for certain word meanings. This is a great version for those individuals looking for more meaning within the scripture. For the hardback version, click here . For Kindle, click here . The Contemporary English Version is great for those adults who do not have prior knowledge of God's Word. The thought-for-thought translation was published in 1995, therefore uses modern English language and annotations. Additionally, the CEV can be used for children or tweens as it was written on an elementary school level. For the hardback version, please click here . For Kindle users, please click here . 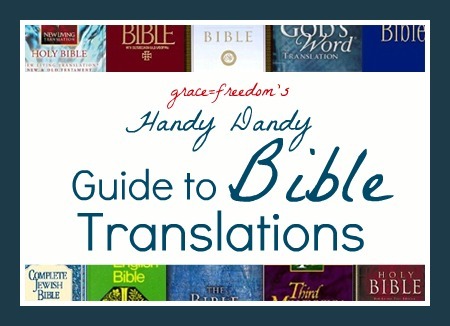 The English Standard Version is a word-for-word translation that is suitable for all readers. Click here for the ESV - Study Bible or here for the Kindle edition. The GWT is for everyone, Christians, non-Christians and children alike. It blends a balance of word-for-word translation with thought-for-thought. GOD'S WORD Translation (with direct verse lookup and book and chapter navigation) , Kindle version or click here for the hardback version. Published in 2004, the HCSB seeks to bring balance between word-for-word and thought-for-thought translations using formal and modern language. Click here for the hardback version or here for the Kindle version. The KJV was translated in 1611 by a total of 54 scholars and churchmen appointed by King James IV of Scotland as he was to be crowned King of England. This was two-fold in that he needed to unite the Puritans and Anglicans, and he wasn't quite sure the previous translations were translated correctly. The Authorized Version, or King James Version, quickly became the standard for English-speaking Protestants. Hard to read for some, the old English flows with rhythmic poetry and has had a profound influence on the literature of the past 400 years. 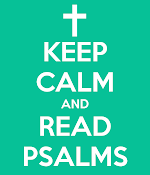 Click here for the best Kindle version of the King James Bible. Paragraphed edition with direct jump navigation. Click here for the hardback version. Arguably the most talked about version among Christians, The Message was published in 2002 with the intention to 'paraphrase' traditional Bible translations. This paraphrasing uses contemporary English and tones to communicate to the modern reader a thought-for-thought translation while retaining the meaning of the KJV text. The Message is best for anyone who is seeking a 'fresh look' at scripture. The hardback version can be found here . Or, click here for the Kindle version. The NASB is the most literal word-for-word translation of all translations. Published in 1971, this version was an update to the American Standard Version. It can be found here for the hardback and here for the Kindle. Based on the International Children’s Bible, the NCV is a very readable translation using the thought-for-thought translation method. The simple terminology is great for kids, teens, and those who are unchurched. Published in 1991. NCV Mom's Bible: God's Wisdom for Mothers , hardback. Kindle users, click here. This bestselling translation is widely accepted by evangelical Christians and uses a balance between word-for-word and thought-for-thought. Published in 1978. For the hardcover, click here. Kindle users, here. A modern language update preserving the poetry of the original King James Version. You can find the hardcover here and the kindle version here. The NLT is a work of 90 Bible scholars and a smaller team of English stylists. These scholars and stylists went back to the ancient languages and sought to produce the closest natural equivalent of the message in natural, contemporary English. The New Living Translation is a thought-for-thought translation, published in 1996. The hardcover version can be found here . Kindle versions, click here (currently free for Amazon Prime Members ). We hope this helps you in deciding which translation is best for your needs. I have my favorites and I'm sure you will too. We <heart> comments - if you have anything to add, please do so! My name is Heather and I'm a 30-something yr old wife & mother. Having a Grandfather as a preacher, it was necessary that I was in church every time the doors were opened. I grew up scared to death of God...scared of what He might do if I did something, anything wrong. I have since discovered the greatness that is God's Grace. Grace that allows me to be the me God created, knowing and basking in His Love rather than fear. I hope you can join me on this journey of Grace. I pray it frees you in every way.